To heat or to bake? We gave in on November 23rd last week and took our central heating system out of its box. 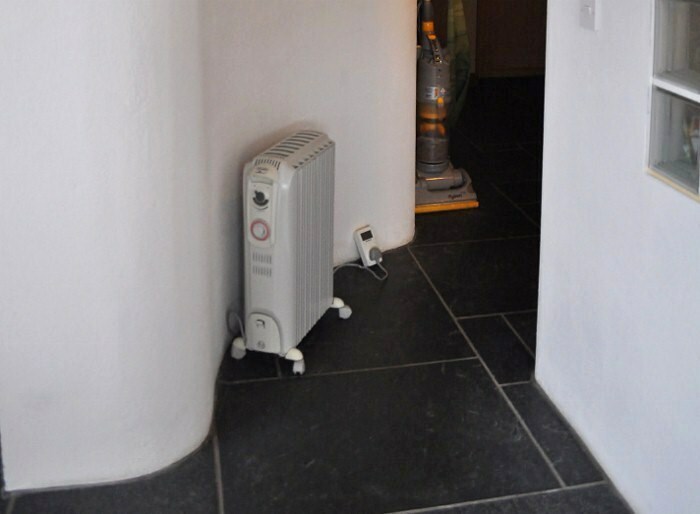 This will be our third winter in the house and it is still not obvious when to start heating. Unlike a conventional house the indoor temperature changes only very gradually. With such a mild autumn we could easily drift along while getting used to the slowly falling indoor temperatures. The amount of heating required is so low that it's tempting just to make an extra loaf of bread and bake a few potatoes (instead of boiling them). I tried this, but now I'm having to eat too much bread because I did not syncronise with Shirley who bought the usual 2 loaves as well. With no conventional built-in heating system we do need to make sure the temperature of the building fabric does not drop too low. I've been keeping a closer eye on the 40+ tons of internal thermal mass this year. I only have one fixed monitoring point, in the heart of one of the earth block walls. This is not data-logged yet and I would really like to monitor at least two other points (one in the ground floor slate). However, I'm now fairly sure that if the core temperature of the thermal mass drops below 21°C, and there is no great prospect of significant solar gains, then we need to use additional heating. At least in our PH, using the air temperature alone to determine when to heat is misguided. Below are the space heating and average temperature numbers for the 2010-2011 heating period. What was that I was saying about trees too close to the house? This willow came down some weeks ago during unusually strong and gusty easterly winds. No damage to the house, but the effect is now quite significant in the morning hours, with considerably more summer sun comming in through the east sun-space glazing. Have a look at the previous "Summer shading" posting below. When the recent cold snap hit I was very deflated. I looked at the January figures and expected similar space heating requirements. But it seems the house was still drying out last winter. It is now more responsive and 5-12 kWh a day has kept the house at an average temperature of 19-20°C. We have had a number of sunny days. Christmas day was another good example: Clear bright sun from dawn. 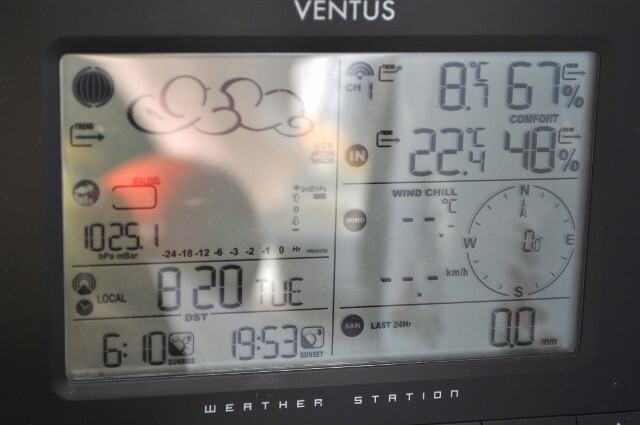 This was enough to push the living room temperature to a high of 22.6°C. I'm slightly embarrassed to admit how excited I am. Everyone else around me is being very polite and tolerant. To most it's just a little less interesting than watching grass grow. I'm jubilant actually :) Given how low the average temperatures have been this year, especially compared to our PHPP climate model, the house is performing magnificently. And after all is said and done, it's not rocket science. It is simply good design based on coherent energy conservation principles, following PHPP. I find it more and more incomprehensible that the UK is still discussing how to create a model for designing and building houses with a reduced energy footprint. I appologise for the fact that I have had to disable the comment function on this diary! It's the last thing I want, but a surge of bot-spam and a rather weak filtering system have been giving me grief. Please email me: markjt@fredo.co.uk if you would like to comment and I will post here. We love trees and the wildlife they provide a home to. Cost and physical difficulty on a sloping site. The pictures above illustrate the level of shading provided on the 14th June by hazel and willow to the south east. In early and late summer the foliage on the trees to the east, south and south-west significantly reduce the risk of overheating. We are now entering winter and those leaves are mostly gone. The sun shines through the branches and most of the solar gain is restored. If you are designing a very low energy house which relies on solar gain please take a close look at any trees or large shrubs to the east south and west. Try to estimate the shading effect through spring summer and autumn before you chop them down! One day in September two friends were lamenting the absence of any real summer this year. 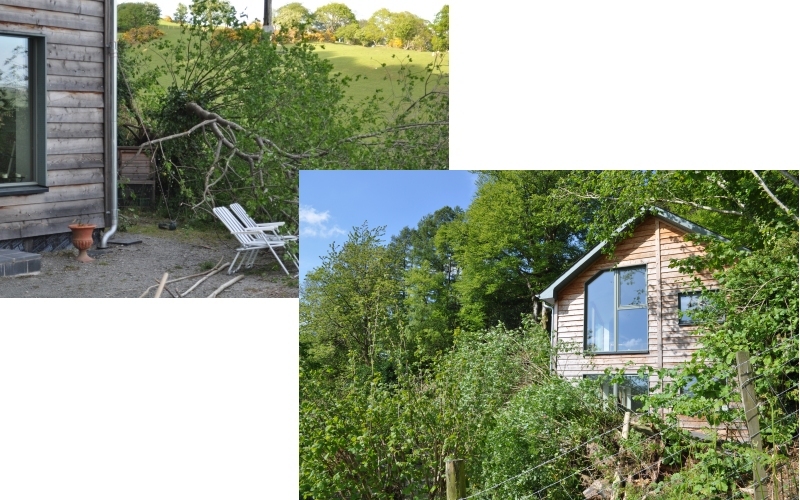 I opened my mouth to correct them, but as I was about to speak I had a sudden, almost shocking realisation that our experience at Y Foel was radically different to those of our friends in more conventionally built homes. This last summer to me was long and quite warm. However, the average temperatures seem to contradict that memory. Spring was very cold, and mid-summer was cool at best, with a lot of cloud at times. Because of our extensive glazing even the colder summer days were warm and bright. Even moving in and out of doors there is something about the even temperatures and constant relative humidity in our house that means you don't seem to feel the outside cold as much either. This is another surprising side effect of a Pasivhaus: It has transformed a mediocre spring/summer into one of the finest I can remember (and yes, I was outdoors much of the time, trying to grow as much veg as possible without much soil at all). The numbers are not clear but as a guide the indoor temperature is just above the 20°C line of the Y axis. The X-axis range is 5-85. 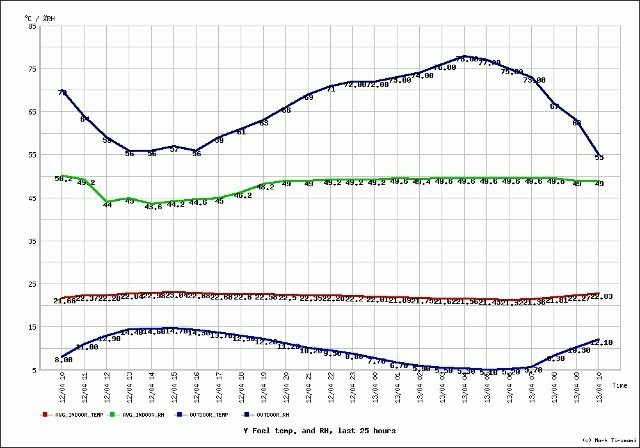 The Y-axis is in hourly intervals from 10AM yesterday to 10AM today. I really wish everyone could experience this, it's wonderful. And despite what some PH critics might claim the level of control over indoor conditions is actually quite amazing too. Some very deeply rooted old concepts about what can be expected from a home need to be binned. 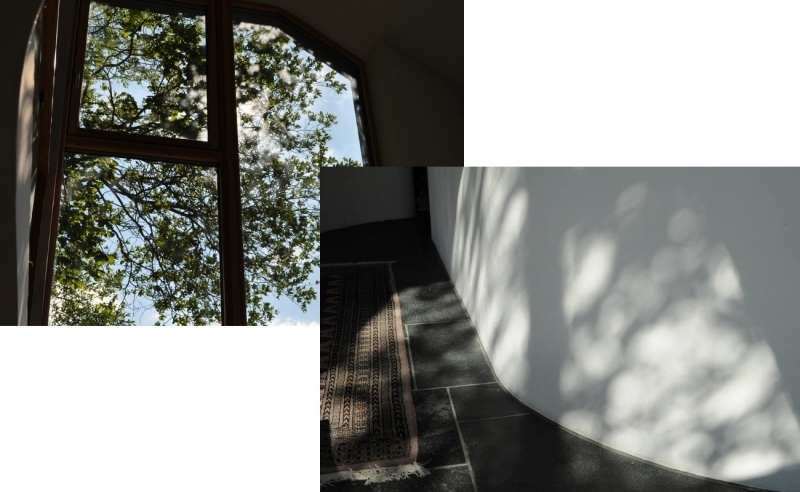 This is an aspect I had not thought about: A Passivhaus, at least one in the UK, can turn a cold spring day into summer. The sun has been out for about 4-5 days and the thermal mass is now warming right through. Throughout the day the average indoor temperature is between 21 and 23°C. The humidity is near perfect. The MVHR is off during the peak sun hours and 2 windows on tilt, plus the glazed door at times, are sufficient for passive ventilation. It's hard to describe, but it feels like an early summer. So you can't open windows in a Passivhaus? In practice the windows and doors can be opened even sooner than in a less well insulated house, and you can still maintain > 20°C even when it's quite cool outside. The winter memories are rapidly being washed away. 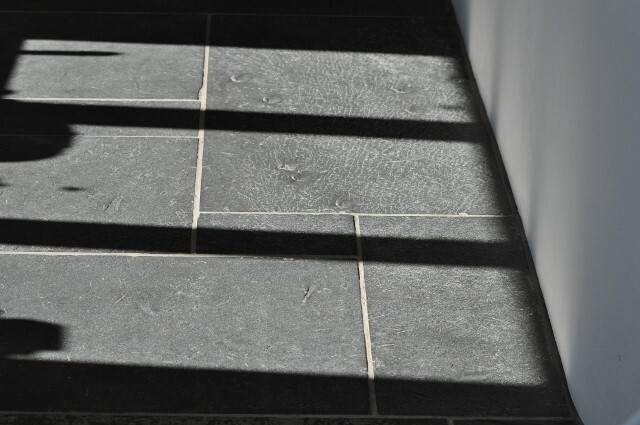 The sun heats the Welsh slate and feeds the Ibstock earth block walls. We briefly hit just over 26°C today in the sun-space, but the thermal mass soaks up the excess and releases it slowly overnight. Most of the house reached between 23 and 24°C air temperature. Just under 10°C maximum outside, -1.7°C in the morning. The plentiful sunshine during the last week has allowed me to experiment again. This time I'm trying to see at what point we will need to open windows and use passive ventilation. So far I have been able to leave the MVHR (Drexel and Weiss aerosilent) running without the summer bypass, and keep the windows closed. Our Nordan NTech windows block just enough heat energy with a clear blue sky in early March. We are just reaching the point where the roof overhang and window returns will begin to shade the upper glazed areas. The house is so full of light and warm that it feels like the best of british summers.... until you open the door.